Welcome to Day 5 of the Handmade Holidays Gift Guide, a week long guide to handmade gifts for everyone in your family! Check out the rest of the week's posts for some great shops. I've been highlighting numerous shops with a limited time discount code for each one! It's a win-win situation here, people! Hardworking entrepreneurs will get some wonderful exposure and you will get your Christmas shopping done early! Black Friday, Schmlack Friday! There will also be a surprise SUNDAY, so stay tuned & make sure you follow Oh, Sweet Joy! blog via Google Friend Connect in order to participate. YOU WON'T WANT TO MISS IT! I am so excited about today's post. I have a special place in my heart for jewelry and so I'm pumped to share with you the largest category of the Gift Guide! There is so much talent out there when it comes to jewelry. I love how every creative mind represented today takes the word "jewelry" and makes something that is unique, fun, and totally "them." 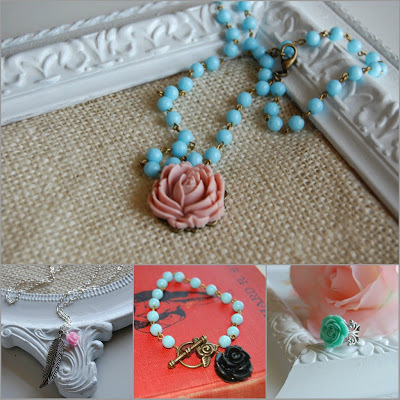 Enjoy today's compilation of gorgeous Handmade jewelry shops! 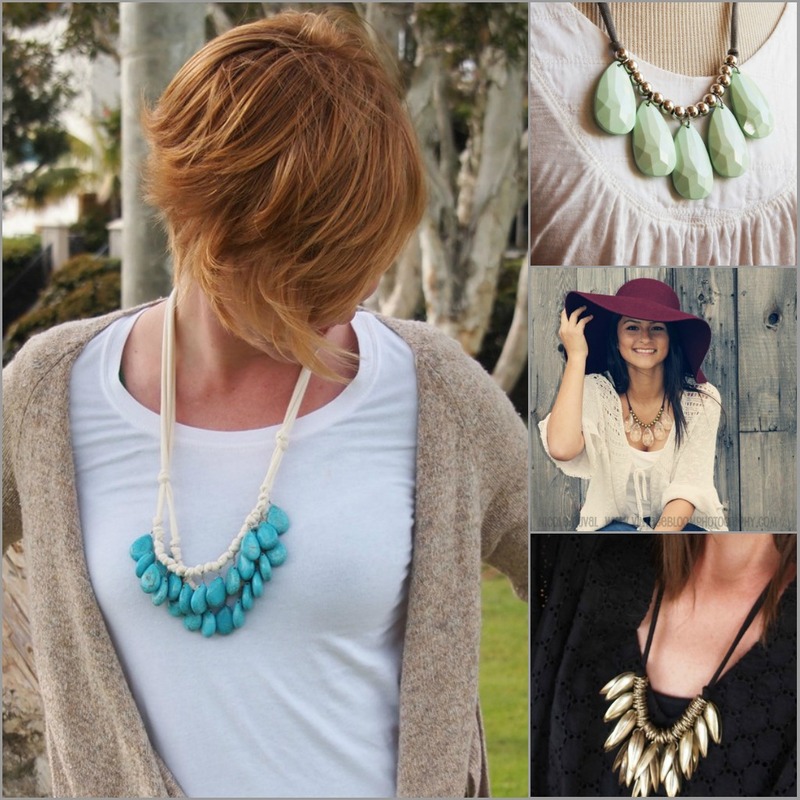 Simply Livly is a shop based in Texas that creates statement necklaces that are comfortable and oh, so stylish. The necklaces are equal parts vintage, bohemian, modern, and classic - with a bit a glamour thrown in. I love that the "chain" is made out of jersey, so you can tie it to your desired length and it won't hurt after a few hours. I have one that I wear SO much and plan on ordering another today! Shop Simply Livly HERE & use code FREESHIP for a free shipping on your purchase! Splendor displays a wide variety of dainty and feminine jewelry. There are so many pretty and delicate colors that create a vintage feel. I have a necklace from Splendor that is such good quality and a fun addition to my jewelry collection! I'm sure you'll find (at least) one piece you're going to fall in love with. Shop Splendor HERE & use code SWEETJOY for 20% off your purchase! YOWZA! 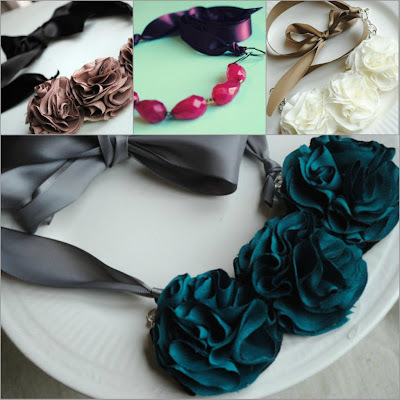 LillyPie Accessories creates the most beautiful ruffly & floral accessories. She also has some lovely items for babies, including headbands, clips and more. LillyPie Accessories is definitely one of those shops you could just stare at for a lonnnnng time. 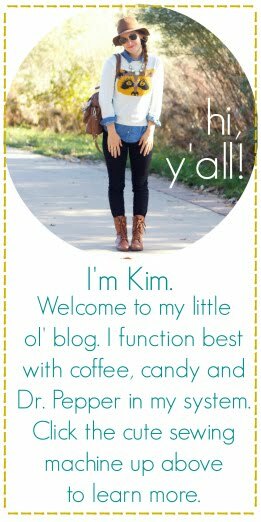 Shop LillyPie Accessories HERE & use code OHSWEETJOY for 20% off your purchase! I love shops that don't just specialize in one thing. It keeps me interested and always checking back periodically to see what they've got going on! Jacqui, the gal behind Craftee McGee, makes headbands, clips, well made jewelry, and crocheted items. There's always something fun that anyone on your Christmas list would love! Shop Craftee McGee HERE & use code JOYTOTHEWORLD for 20% off your purchase! Who doesn't love their home state? I, for one, LOVE texas and would rock one of the Texas necklaces any day. Africa on your mind? 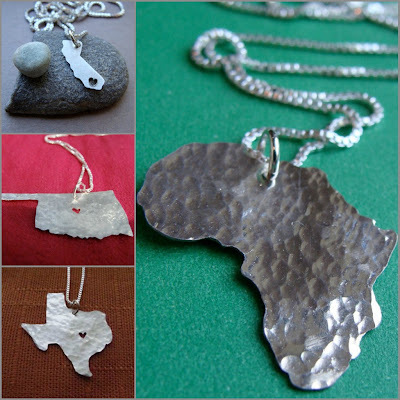 Show your love for the people of Africa with the Africa necklaces. I love the sweet detail of the cut out heart in each of Jessica's necklaces. She does such great work! Shop Oh So Antsy HERE & use code OHFREESHIP for, you guessed it, free shipping! I'm so pumped to tell you guys about Willow & Raven! They're a local handmade business run by Shauna, who is SO sweet. 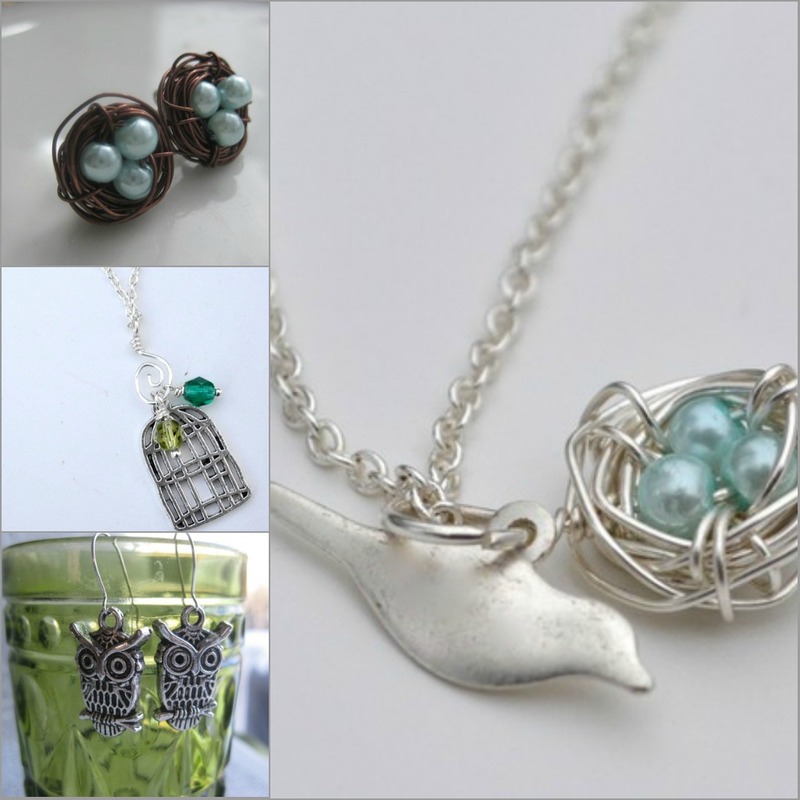 She makes funky & whimsical jewelry out of beautiful fabric and many other mediums. The best part? A large portion of her profits goes to fight human trafficking. This girl has a beautiful heart and great talent. Shop Willow & Raven HERE & use code OHSWEETJOY for 20% off your purchase. MaddyNBella, "Where classic meets vintage handmade with a funky twist!" Courtney is the lady behind this machine and I love her work! I've bragged about her several times before and I'm thrilled she's a part of this year's gift guide. 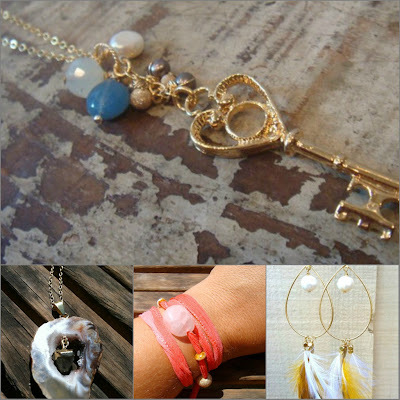 Her pieces have a touch of bohemian flare, but are all so pretty and natural looking. Make sure you check out her work! Shop MaddyNBella HERE & use code HOLIDAY20 for 20% off your purchase. Last, but definitely not least of the jewelry category, I present to you: Fresh Tangerine. 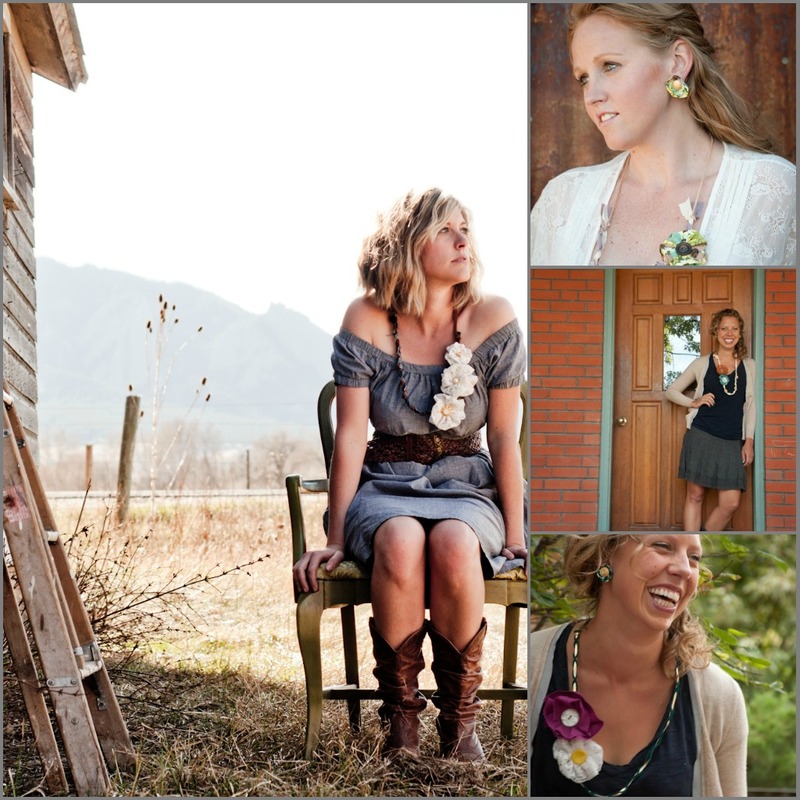 Fresh Tangerine carries Vintage Inspired Jewelry that is so chic and all around GORGEOUS. I would wear any of her pieces to instantly glam up an outfit. There are unexpected pops of color that add a bit of interest and flare. LOVE this jewelry! Shop Fresh Tangerine HERE & use code HOLIDAY10 for 10% off your purchase! You can see the complete list of those featured in the Gift Guide here. Thank you for doing such an amazing job putting this gift guide together! I am enjoying being a part of it! love fresh tangerine! thanks for introducing me to it!! have a great weekend love! just added the oklahoma necklace to my Christmas wishlist!